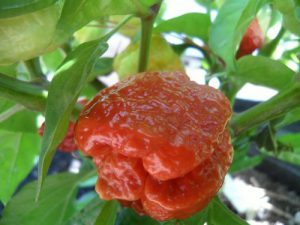 Another variety which seeds were sourced from Trinidad by my friend Grant who grows in Australia. 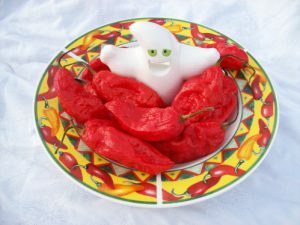 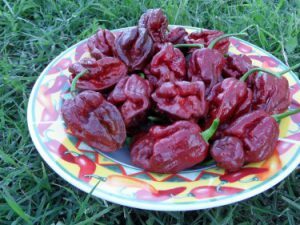 His plants were producing mostly Moruga looking peppers. 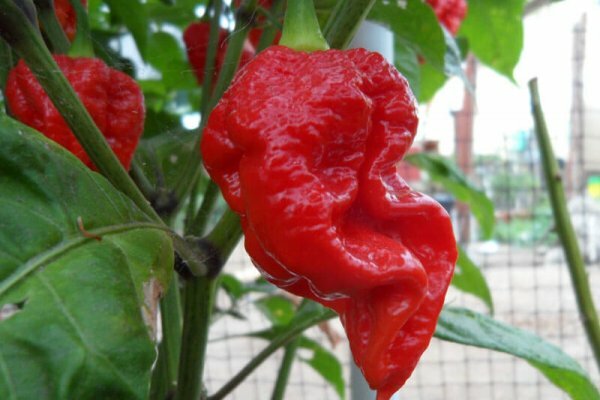 However mine are all coming out elongated but huge! 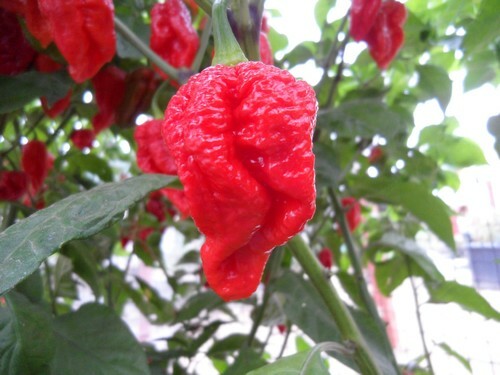 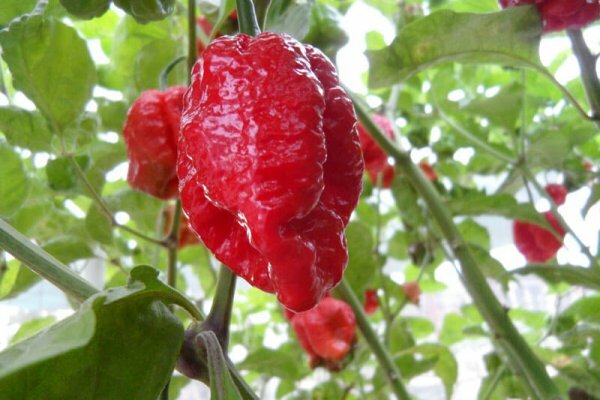 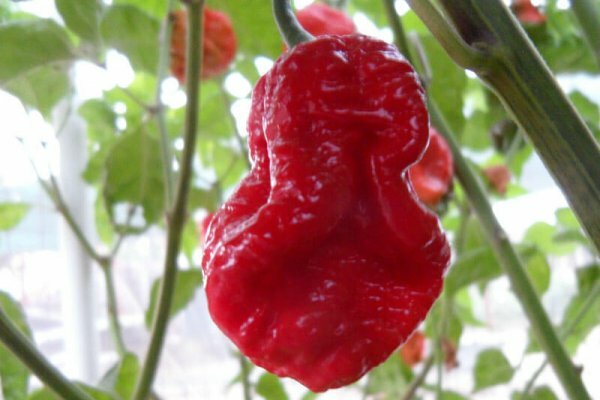 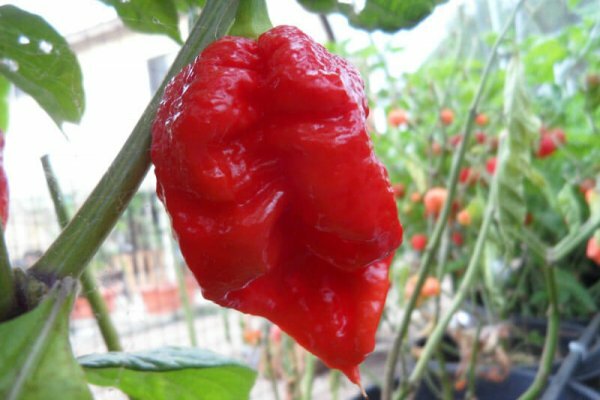 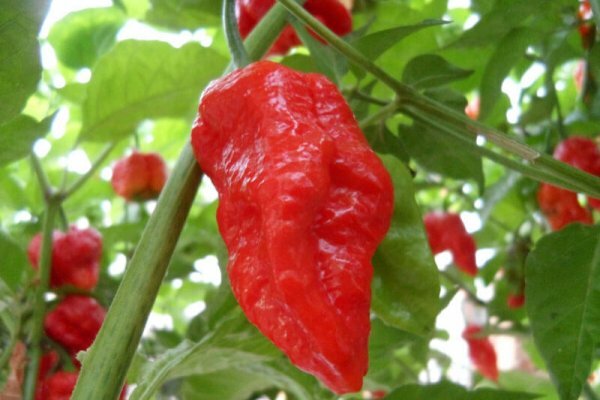 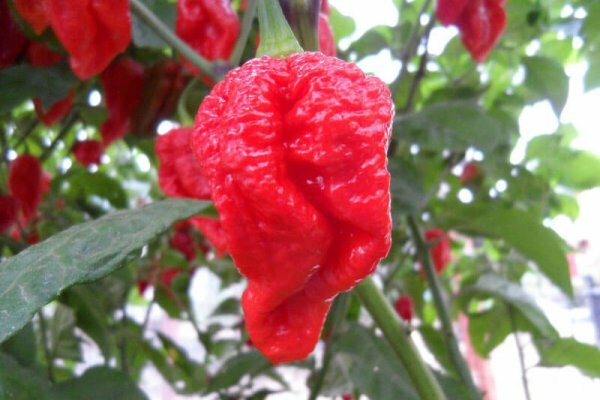 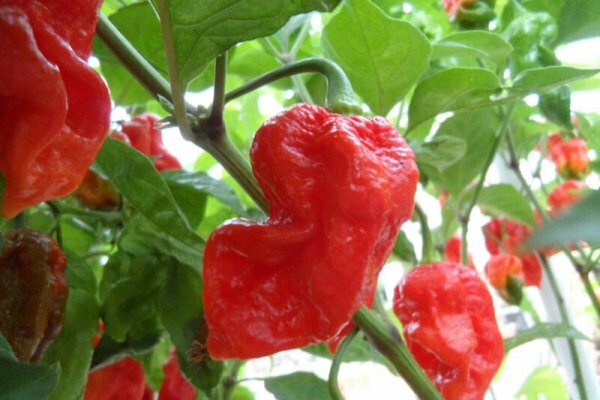 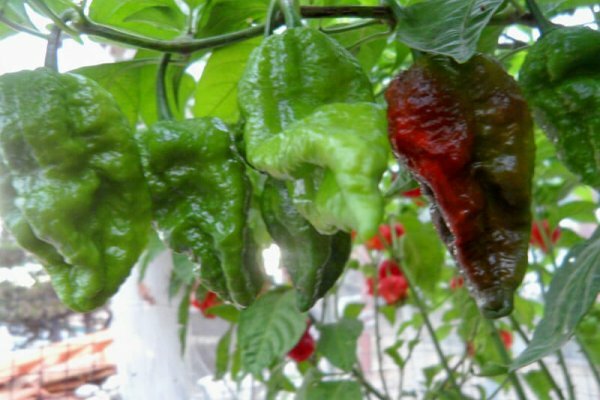 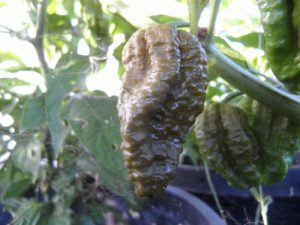 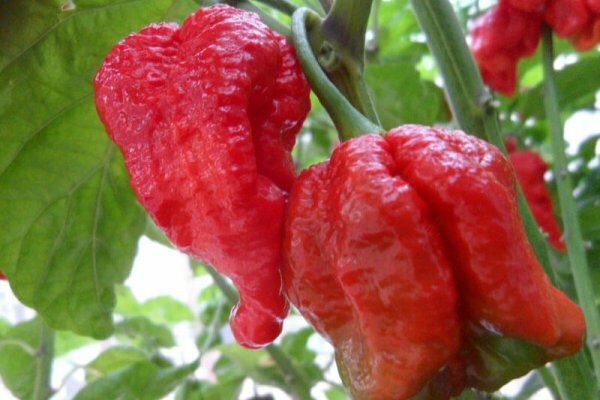 The Trinidad Scorpion Large chile plants produce so much that the branches sagged from the weight of all the peppers. 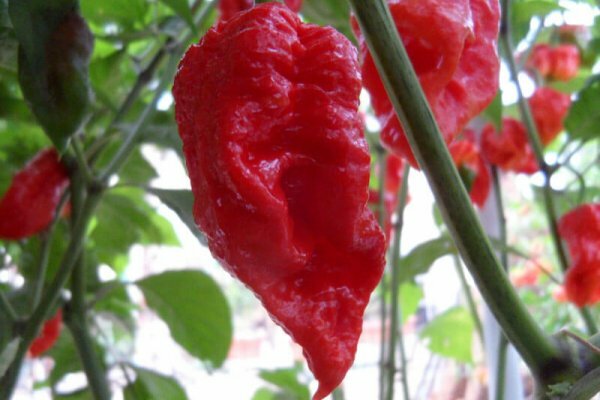 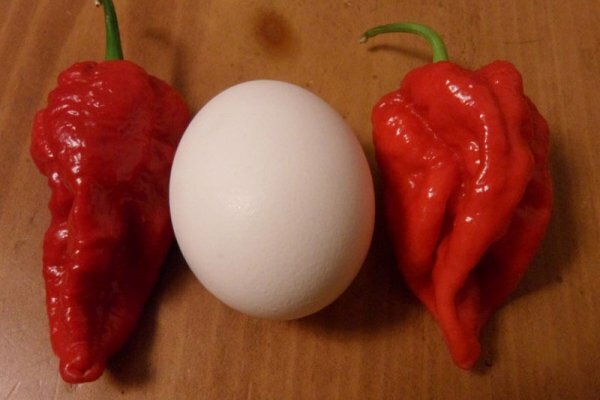 The heat is intense with a slight fruity background flavor. 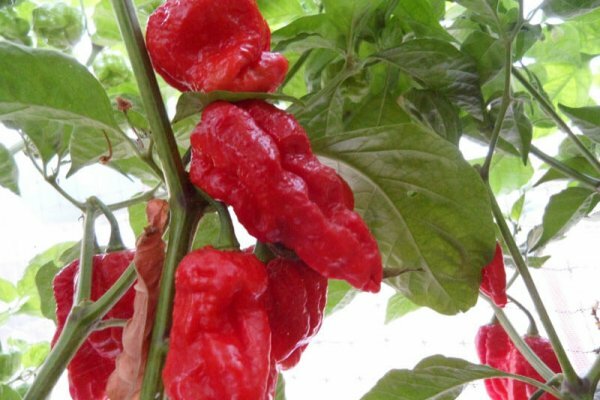 Plants will grow up to 4 feet tall!